Hepatitis C is a viral disease which causes inflammation of the liver and ultimately leads to the failure of the liver. According to WHO, 71 million people worldwide have the chronic form of hepatitis C. Although there were many treatment protocols followed for treating Hepatitis C, they were long-term treatment measures and were often complicated. 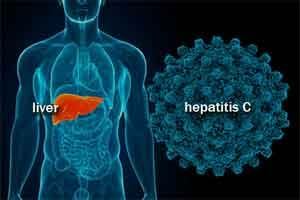 Recently in August 2017, The US Food and Drug Administration (USFDA) had approved a drug named ‘Mavyret’ (Glecaprevir + Pibrentasvir) for the treatment of Hepatitis C. This drug came into existence after a revolutionary research, and it is believed to treat 90 – 100% of chronic Hepatitis C Virus (HCV) after 12 weeks of treatment. However, Mavyret came with its limitations, such as it is not recommended to the HCV patients accompanied with cirrhosis and is contraindicated in patients taking atazanavir and rifampin. Breast cancer is the most common cancer in women around the globe. The breast cancer cells are very aggressive and can easily spread to the other parts of the body. The risk of recurrence of breast cancer is very high. Nerlynx, a newly approved drug by USFDA, treats HER-2 positive type of breast cancer and comes with a promise of decreased risk of recurrence in breast cancer. The safety and efficacy studies on Nerlynx yielded positive results, and about 94.2% of patients had not experienced cancer recurrence or death in 2 years post-treatment. The researchers advised adding anti-diarrheal therapy as an adjuvant to manage diarrhea associated with Nerlynx. Nevertheless, Nerlynx is not recommended in pregnant or breastfeeding women. Timely ingestion of the drugs can be a difficult task in people with mental disorders, such as schizophrenia, manic, and bipolar disorder. The USFDA had made an initiative to minimize this gap by approving a revolutionary drug. This drug ‘Abilify MyCite’ contains aripiprazole tablet with a sensor. This drug-device monitors timely ingestion of the drugs and sends a message to a wearable patch, the wearable patch further transmits the signal to a mobile application. Thus, the doctors, caretakers or patients can monitor the drug ingestion. However, the usage of Abilify MyCite is not indicated for real-time tracking or in emergencies as detection of drug ingestion may be delayed or may not occur in some cases. Notably, Abilify MyCite is first drug approved for schizophrenia by the FDA since 2002. Sickle cell disease is a blood disorder in which red blood cells are abnormally shaped (i.e., sickle-shaped). This defective shape hinders optimum oxygen delivery to the tissues. FDA had only approved one drug in the past 20 years to treat sickle cell disease; thus, making it difficult to manage this serious condition. Recently, in July 2017, USFDA had approved a new drug ‘Endari’ (L-Glutamine oral powder) to manage sickle cell disease. The safety and efficacy studies of Endari had concluded that patients who received Endari had fewer hospital visits for the pain associated with sickle cell disease. Merkel cell carcinoma, a rare but aggressive form of skin cancer doesn’t have an approved drug for its treatment. The Oncology Center of Excellence of FDA had approved a drug named ‘Bavencio’ (avelumab) to treat Merkel cell carcinoma. Bavencio has received an accelerated approval to meet the medical need. USFDA had also said that the clinical benefits of this newly approved drug are yet to be confirmed. It has been advised to restrict the use of Bavencio in the patients who are susceptible to infusion-related life-threatening reactions. A biosimilar for trastuzumab (Ogivri) had been approved out of FDA’s urge to increase the biosimilar approvals. The idea behind approving biosimilars is to reduce the healthcare costs. Notably, Ogivri is the first biosimilar approved for the treatment of breast and metastatic stomach cancer. Ogivri acts and suppresses HER2 gene. However, FDA advises doctors to review the prescribing information to understand the risks and benefits of Ogivri before prescribing. The use of telehealth seems to be expanding at a fast rate in all the sub-specialties of medicine. Telehealth had broadened various horizons in 2017 with its extensive use in the department of medicine. USFDA had approved its first telehealth program for remote cochlear implants. Cochlear implants are electronic devices that are designed to improve hearing in people with moderate to severe hearing loss; the adjustments for the cochlear implants were previously done on a regular basis at specialized centers by audiologists. Before approving the telehealth option, the FDA had reviewed a clinical study regarding the remote implantation of and had found little to no difference between in-person and remote programming. In addition, FDA had also reviewed and recommended cybersecurity issues for the interaction. Cataracts are common, and surgery is usually recommended to treat the condition. Surgeries involve replacing the cloudy lens with the new lens, which often leads to refractive errors. The refractive errors are caused because the inserted artificial lens lacks proper focus. The USFDA has approved a new type of lenses (RxSight) for cataract patients that helps improve visual acuity without the use of glasses. These lenses are approved for astigmatism patients and for the patients devoid of macular diseases. The RxSight intraocular lenses need three to four light treatments after the surgery to protect themselves from UV radiation. The clinical study results yielded significant improvement in the vision in long-term. The diagnosis of lung cancer usually involves a laborious process, but this novel technique can certainly result in the easy and quick diagnosis. A research group from Germany has found an easy way to diagnose lung cancer, i.e., using breath test. Breath test involves a procedure of isolating the RNA molecules from the breath and analyzing them for abnormalities. The breath test yielded good results on the detection of cancer, and around 98% of the tested patients were positive for cancer. The researchers had concluded that the breath test can be the best diagnosis for detection of lung cancer and can eradicate other false-positive diagnoses. However, the researchers were on a plan to scale-up the clinical trial process and to market the product. The post-market surveillance of the listed USFDA breakthroughs is certainly under scrutiny in 2018. The advances are not limited to the above-listed breakthroughs, and the medical researchers are all geared-up for a great start in 2018.